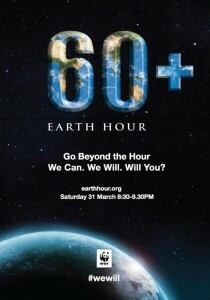 5:30pm : Earth Hour Community Run by”VEGE” Hashers. Flag off from Sunway GIZA Concourse. 8:30-9:30pm : Earth Hour Presentations- T4C Two Tenors Song Item, PPR Kota Damansara Drum Circle, Clown and Children Magic Show. Organised by: MBPJ, Sunway Giza and Caring Citizens of Friends of Kota Damansara.